I acknowledge the contents of the current License and Use Agreement and agree to comply with its terms and conditions. Commuter Accounts: The person who signs the application assumes financial liability for the PIKEPASS account. A Minimum Prepaid License and Toll Fee of $40 is required to open this type of account. This entitles commuter customers up to 5 PIKEPASSes initially. 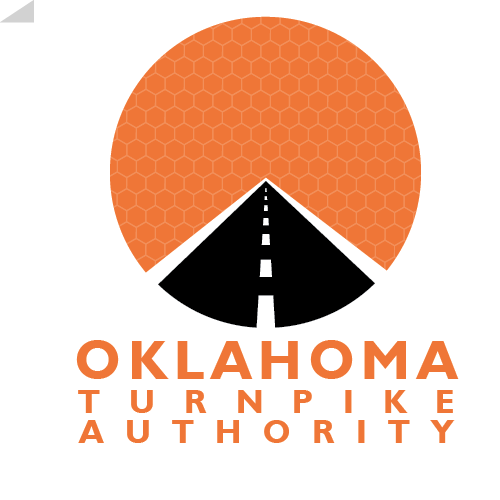 Additional PIKEPASSes requested require a Minimum Prepaid License and Toll Fee of $40 per every 5 PIKEPASSes requested. Accounts requesting more than fifteen PIKEPASSes will be opened as Commercial Accounts. A Minimum Prepaid License and Toll Fee of $80 is required to open this type of account. This entitles commercial customers up to 5 PIKEPASSes initially. Additional PIKEPASSes requested require a Minimum Prepaid License and Toll Fee of $80 per every 5 tags requested. Government Accounts: Please call the Government Accounts Representative at the PIKEPASS Customer Service Center for assistance. Company Name: The Company’s business name and Federal Tax ID number are required for Commercial accounts. The application will be returned if not included. Name: Your complete legal name and driver license number is required. Mailing Address: Your complete mailing address is required. Please include street designators (e.g. ST, AVE, RD. and APT #). E-mail Address: This is an option you choose for your statement and notice delivery method. E-mail is 5 days faster than regular mail. Phone Numbers: Provide a number you may be reached during the daytime and evening. A work phone number is required for Commercial Accounts. Account Access Code: Provide a four-(4) digit number to control and secure access to your account information and toll transactions. Changes to your PIKEPASS account, and/or any account information will only be provided to you (the individual account holder), or any person(s) you provide the Account Access Code. PIKEPASS Account Statements are mailed to you either quarterly or monthly, depending upon which option you choose. If you don’t choose a statement frequency option, we will mail your statements quarterly. These statements detail all account transactions as well as toll usage. If you do not have activity on your account, we will not mail a statement. Duplicate statements, if requested within 30 days from your last statement, are available free of charge. A duplicate statement requested later than 30 days after the statement date cost $5 per statement. To help eliminate billing errors and possible toll violations, this section must be completed carefully. Verify your license plate number and vehicle axle counts before the application is processed. You must list anything that may be towed, including boats, trailers and cars. These may affect vehicle classification. Vehicle descriptions are required for each PIKEPASS Tag issued. You must have a license plate number for each vehicle listed. If you do not have a license plate number, a PIKEPASS Tag cannot be issued. A Credit/Debit Card or voided check is required to open all accounts. If you apply for a PIKEPASS account, in person, at one of our designated Customer Service Agents or by fax, your initial Minimum Prepaid License and Toll Fee must be made by credit/debit card. If you apply for a PIKEPASS account by mail and you request a payment option other than Credit Card (Auto Charge) you must enclose a check or money order for your initial Minimum Prepaid License and Toll Fee. If you need additional information related to the Application/License Agreement, please call or stop by any of our Customer Service Centers. Method of Payment Choose only one option. A credit/debit card or voided check is required to open an account. If you apply for a PIKEPASS Account, in person, at one of our designated Customer Service Agents or by facsimile, your initial Minimum Prepaid License and Toll Fee must be made by credit/debit card. If you apply for a PIKEPASS account by mail and you request a payment option other than Credit Card (Auto Charge), you must enclose a check or money order for your initial Minimum Prepaid License and Toll Fee. Credit/Debit Card (Auto Charge): If you would like your credit/debit card automatically charged, mark the Credit Card (Auto Charge) box on the application. Include your credit card number and expiration date. Please write your name and sign as it appears on the credit card. Credit Card Accounts will be replenished automatically by charging your authorized credit card when your PIKEPASS account reaches a balance of $10 for Commuter accounts or 1/3 of the Minimum Prepaid License and Toll Fee for Commercial Accounts. Direct Debit Bank Draft/EFT (Auto Charge): If you would like your bank account debited directly, mark the Direct Debit Bank Draft/EFT box on the application. You must complete the Direct Debit Bank Draft Information, including Bank Name, Address, Phone #, Account #, and Transit/ABA#. Bank Draft Accounts will be replenished automatically by debiting your designated bank account when your PIKEPASS account reaches a balance of $10 for Commuter accounts or 1/3 of the Minimum Prepaid License and Toll Fee for Commercial Accounts. Cash/Check/Money Order (Manual Replenishment): If you would like to be billed when your account falls below a certain amount, mark the Cash/Check/Money Order box on the application.